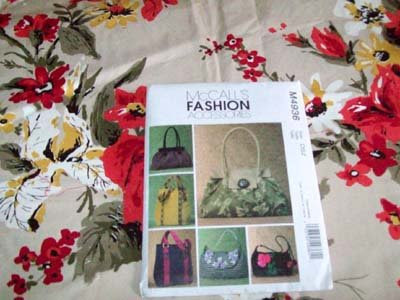 Last night I pulled McCalls 4936 out of my pattern drawer and cut it out while watching TV with Beau. Selected a floral fabric, a heavy weight stabilizer and got it all cut out before dinner ((( Made up a new recipe for Red Chili Stew, which was quite wonderful ))). Might have a little time to play with it tomorrow morning and maybe after dinner. That is, of course, if I have any energy left over after a day of painting the bedroom.